Learn how to balance the body and mind in a yoga class that is successful and rewarding for beginners and advanced practitioners. The class supports healing, enhances overall wellness, vitality, and deep relaxation. 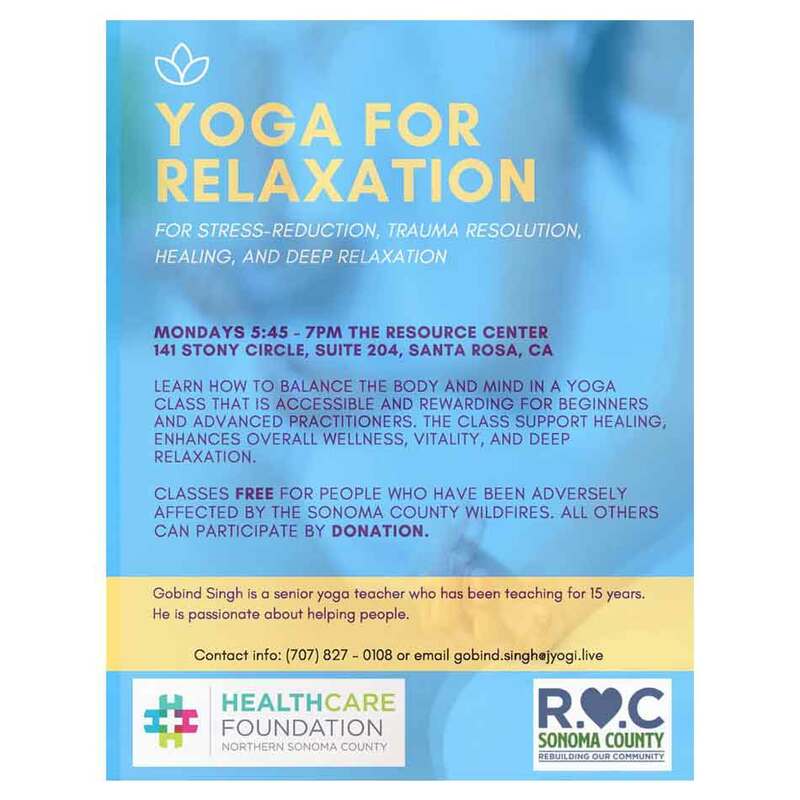 Classes FREE for people who have been adversely affected by the Sonoma County wildfires. All others can participate by DONATION. Gobind Singh is a senior yoga teacher who has been teaching for 15 years. He is passionate about helping people. For any questions please contact Gobind at 707-827-0108 or gobindsingh@jyoga.live.